I am so excited that the day for Katie’s virtual baby shower has arrived! Katie and I met through our mutual friend Julie of The Little Kitchen. 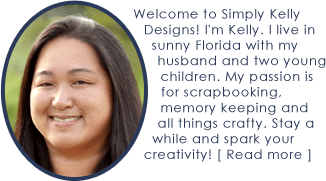 Katie has two awesome blogs: Katie’s Cucina (food) and Sew Woodsy (craft/DIY). Katie and I have hung out at Julie’s house a few times, attended the same blogging conferences and have gone to a concert together. We often chat on social media. She is really a lot of fun and knows the blogging business. She has been a great source of inspiration and support for me. This is me and Katie at the Florida Blogger’s Conference. Katie and her husband Jon have been working on the most adorable whale themed nursery so I wanted to make something for them to go with that theme. I tracked down the material that Katie based her nursery on and pulled the color palette from that. I am giving Katie a Project Life mini album to put pictures of the baby in so I designed some cards to go in the album. First I created monthly cards so that it would be easy to keep track of how old the baby is throughout the album. There are 13 cards from newborn to 12 months. The Project Life mini album has a 4×3 inch pocket on the outside so I wanted to design a card for that as well as a few cards for the first page of the album. These are the extras that I designed for the album. The monthly and extra cards come in individual JPG files, grouped together in PDF files or group in Silhouette print and cut files. The individual JPG files are for anyone just using the digital files. The PDF files contains multiple cards on one page for print at home convenience. The Silhouette print and cut files are convenient for Silhouette portrait and cameo users. You can download the free cards by clicking on the preview above or here. These files are only for your personal use. 1. Open a PDF file. Choose File->Print to send the file to your printer. Make sure you the printer is set for the best print quality and color printing. 2. Repeat Step 1 for each PDF file. 3. Use a paper trimmer to cut out the cards. 4. Round the corners of the cards if desired. 5. Repeat steps 1 to 3 for each PDF file. 6. Add the cards to the Project Life album. 1. Open the print and cut file in Silhouette Studio. 2. Go to File->Print to send the file to your printer. 3. After the file is printed, put it on your mat the same way the page looks in the Silhouette Studio software. 4. 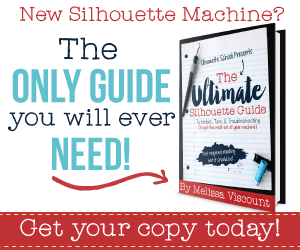 Go to File->Send to Silhouette in the menu. Select Click here to skip printing. Follow the directions to load the cutting mat and then press Continue. 5. Select Detect automatically for the registration marks. Once the machine detects the registration marks, select Cut. 6. Remove the cards and excess paper from the mat. 7. Repeat steps 1 through 6 for each print and cut file. 8. Add the cards in the Project Life album. I put some pictures of my son in the album so you could see examples of how the cards look in the album. This is the first page. This is the second and third page. Katie should be receiving this album and all the baby whale themed cards in the mail soon! Congratulations Katie! I am so excited for you and Jon! Here’s a list of the bloggers that are participating in Katie’s virtual baby shower. There are some delicious and easy recipes in there as well are some awesome crafts! Take a look! Disclosure: There are affiliate links in this post. I only recommend products that I used and love! This is so cute…what a wonderful thing you made for Katie…I’m sure she will cherish this forever!! Thank you so much for doing this for her, Kelly! And for joining in on our baby shower! Thank you Julie. It was great of you and Christine to include Katie’s crafting blogger friends too. Thanks for organizing! Oh my god! I love love love this album and the cards. Too cute. Makes me want to go back and do an album like this for my little ones. Thank you for the nice compliment and for organizing the virtual baby shower for Katie! You are sweet Wendi! 🙂 I love the Baby Boy printable you made for Katie. What a wonderful gift! So neat that you were able to track down the nursery theme and colors. She will love it. Thank you Glenna! I sent the album and cards to Katie earlier today. A mom can never have too many pictures of her children! I’m glad we are friends in real life too Katie! I can’t wait to meet Baby J! I was originally going to make whale themed monthly onesie stickers for you but I thought someone else was doing something with a onesie and I wanted to be different. I’m going to try and mail the album and cards to you tomorrow or Friday. This is so much fun! I never heard of a virtual baby shower before! I LOVE that you did a whale craft inspired by the nursery! Thank you Samantha! I definitely wanted to make something for Katie that she could use. That reminds me that I need to mail the album to her! Love the little whales Kelly! Nice job! Thank you Sarah! I was inspired by her nursery and her Pinterest board!